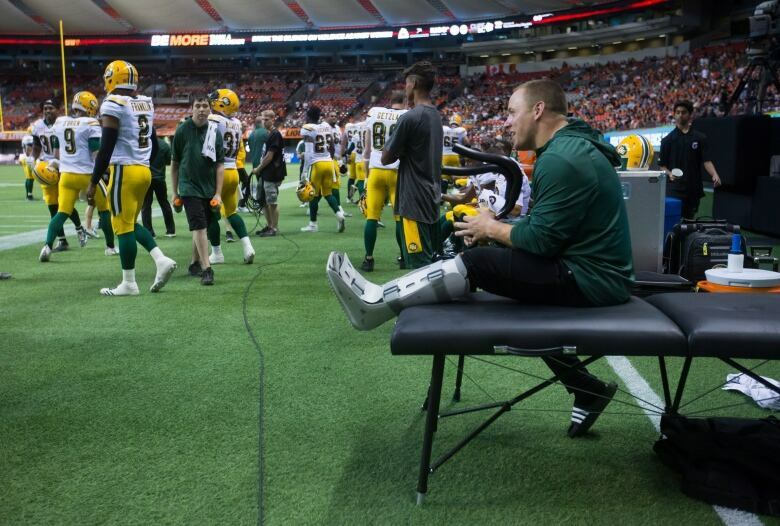 After spending his entire eight-year career with the Edmonton Eskimos, linebacker J.C. Sherritt has announced he’s hanging up his cleats for good. After spending his entire eight-year career with the Edmonton Eskimos, American-born linebacker J.C. Sherritt has announced he's hanging up his cleats for good. 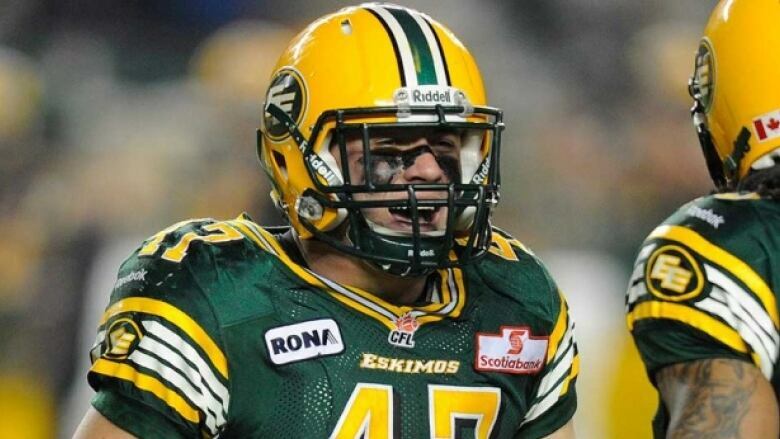 The Esks announced Sherritt's retirement from the CFL on Wednesday morning. Before making the decision, he said he asked former players when they knew it was time to retire. "They said 'you just know.' And I didn't know what that meant until I felt exactly what they were talking about. And I just know in my heart, it's time to move on to the next stage of my life," Sherritt told CBC's Radio Active Wednesday, calling in from Pullman, Wash.
A few days after the 2018 season ended, Sherritt, 30, said he realized it was time to retire. He gave himself a month to think about it, and never changed his mind. "The decision, it was not hard for me to make," he said. "I walk away happy with no regrets and just feeling so fortunate to get to have the career I had and get to end it the way I wanted to." Coming out of Eastern Washington University, Sherritt was an undersized 5-foot-9, 218-pound defender. He said a unique set of circumstances brought him to the club in 2011: There was an NFL lockout and his college teammate Greg Peach was playing for the Eskimos. "He let me know ... what kind of an organization Edmonton was. And then because I played behind him at college, they had all that film on me. 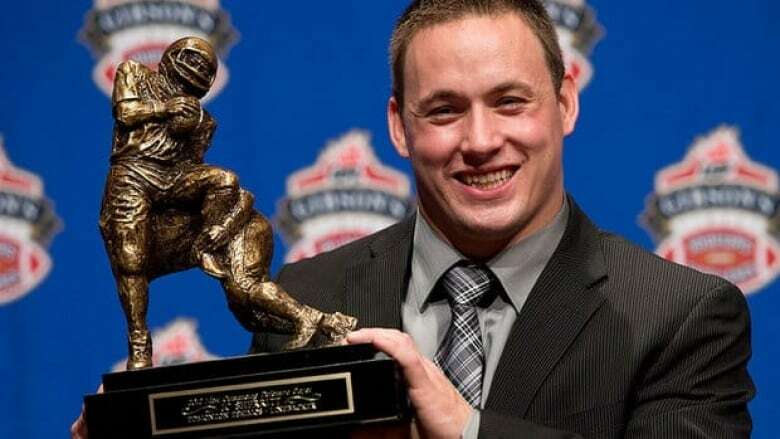 And ... they gave me a shot to come up and compete in training camp," Sherritt said. "It's just fortunate how one thing led to another, and eight years later, you wouldn't change it for the world." Sherritt was named the Most Outstanding Defensive Player in the CFL in 2012, and helped the Esks win a Grey Cup in 2015. During the first game of the 2017 season, Sherritt ruptured his left Achilles tendon. In his retirement statement, Sherritt thanked general manager Brock Sunderland for taking a chance on him after the injury. "A 29-year-old undersized linebacker that is coming off a ruptured Achilles and is, you know, an international — all the statistics, all the books say you've got to let that guy go," Sherritt said. "Instead, he stuck by me, he gave me a shot to go compete for the job." Sherritt said he's honoured to have spent eight seasons with the green and gold. "It's a part of my life that I'm so incredibly proud of," he said. "Just to get to call myself an Edmonton Eskimo for the rest of my life means a great deal." Sherritt will remember his teammates the most. "It's the beauty of football," he said. "I've gotten to meet people from both countries, from all backgrounds, all different worlds — guys I get to call friends for the rest of my life. And that's what I'll take with me more than anything." But he isn't leaving football for good. Now that he's packing away his jersey, Sherritt plans to go into coaching — a goal Sherritt said he's had since childhood. "I can't wait to get started," he said. "Wherever that may be, I really look forward to it."